Studio > Pages is too wide and you cannot make it less wide. It will be great if there is an option like "Hide" in Plus. You can hit ctrl+shift+h (cmd+shift+h on Mac) to hide all studio panels - although admittedly that does also hide your studios on the right side of the UI. Also, hitting tab hides all studios and tools. What kind of improvements Ash? 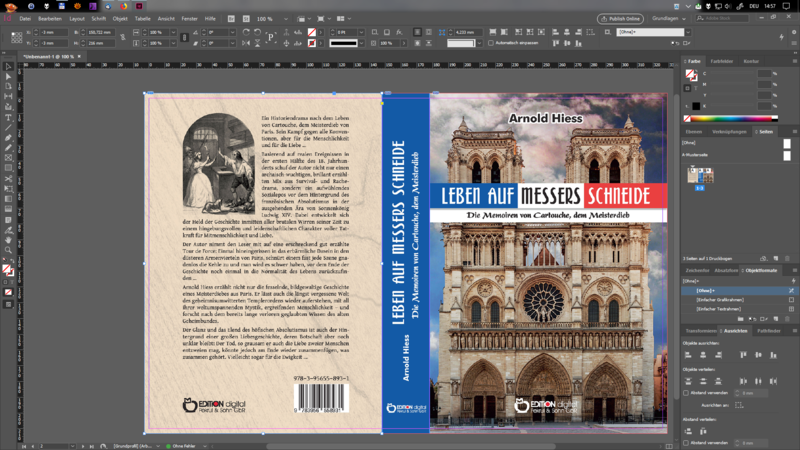 At present its not possible to layout a spread for more than 2 pages which means you can’t layout for a book jacket or brochures where you want custom folds. In the case of the book jacket etc you would have the front and back of the jacket with the spine centre. At present it seems you can’t adjust individual page widths to create the spine or custom fold as in InDesign or Quark. Can’t understand why this basic functionality was not included at launch, it’s so important for creativity in layout design. I do hope this will be included before final commercial launch otherwise it’s going to be next to difficult as a professional designer to adopt Publisher. If this functionality is already available and I’m not seeing it, please advise. I’m surprised no one else has raised this yet unless I’ve overlooked a post. Still Ash, good first view. Hi - actually all I was talking about was an improvement to the Page Studio UI in the sense of it not taking up as much width on the left hand side rather than any specific page set up features. In terms of your question, we do not support spreads of more than 2 pages. I think for the example of the book jacket it can still be accomplished by having a single wide page (dimensions set to double page width + spine width) and then set up guides to mark spine folds (as well as probably guides for the centres of the front, back and spine). Realise that doesn't have the same simplicity of doing a 3 up spread, but other than a slightly more involved set up I'm not sure what drawbacks there are to that method? I'm not an expert in this type of work by the way! Ah, that’s seriously disappointing to hear that. Sounds like you’re not consulting with professional graphic designers during the development of this program. If Publisher is to have limitations like this I cannot see Publisher making much of a dent in the professional market. I assume the professional market is who your aiming at. Is it a definite that Publisher will not be handling more than a two page spread and have the ability to change individual page widths like you can in other page layout programs? Yes having been a professional digital graphic designer since the early 90’s, I am aware that you can pull out rulers and accomplish it that way but that’s a backward way of thinking to creating what is supposed to be a new forward looking layout program when other layout programs have had this important feature as standard for sometime. Maybe you have done this already, but I think you should not have released this beta yet and instead thrown it out to a number of design agencies, the people who use layout programs on a daily basis for their feedback first. Don’t get me wrong, I have been supporting you and in fact I have invested in both AP an AD even though there are features missing. With Publisher, I’m not sure what you’re target market is and I’m not sure if you’re response is across the board within the development team or whether it’s your own personal view when you say “We do not support spreads of more than 2 pages”. If it is definite decision by the dev team then to quote Dragons Den, I’M OUT! (Reluctantly). Is it a definite that Publisher will not ... have the ability to change individual page widths like you can in other page layout programs? It cannot, however, change the width of one page in a 2-page spread. For the first version yes. Appreciate your other feedback. We understand the first version of the app isn't going to have the functionality some people need, but we are listening to all the feedback and suggestions which are made. I'm comfortable we will be making the right calls in terms of prioritisation of what new features we implement in subsequent updates and future versions over the coming years, but it is very much a long term project. Yeah I know that Walt, that’s exactly my point! It’s too restrictive for professional designers. This is something that can’t wait months or years to decide to add. Professionals won’t wait around, why would they when they are already ok with the industry standards. It will only lead to a negative response from graphic design agencies and freelancers, (publishers maybe not so much as they are more catered for in this beta) which as I understand it, are who Affinity are trying to attract to the platform when Affinity splashed onto the scene. I know these are early days but this feature should be there now not as an afterthought. Ash, it’s not some people, it’s the design community which should be very important to you for growth of Publisher in the industry. This feature should have been there in the beta launch! 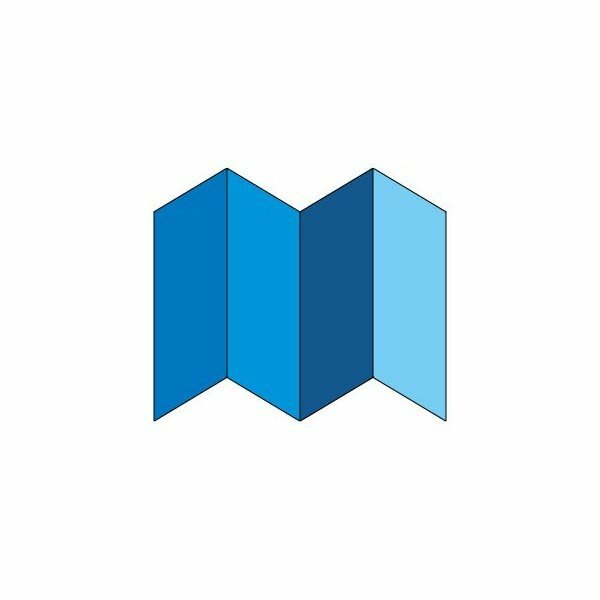 I feel that if not added before commercial launch that there is a real danger Affinity Publisher will be construed as nothing more than a basic publishing tool, of which there are already many on the market, by the design community. If all of these features, which are qualified as „very important“, „indispensable“, „basic“ and „crucial“ features, should have been already present „in the beta launch“, we would be looking forward for the initial release of Publisher in 2024! If somebody needs these features now, he (a) unfortunately has to look for a different piece of software — or (b) try to achieve his goals with Affinity Publisher without applying a dedicated feature. In most cases this is possible by mobilizing a small amount of flexiblity and creativity. These are the 2 alternatives. There is no third one. Realise that doesn't have the same simplicity of doing a 3 up spread, but other than a slightly more involved set up I'm not sure what drawbacks there are to that method? I'm not an expert in this type of work by the way! But it's a recent feature in some other apps, some of us were used to do it the painfull way and it seems we survived. The spreads with more than 2 pages are mainly used to do what we called "dépliant accordéon" (‘Folder accordion folds’ said Google translation, I'm waiting for Alfred to correct this ), with usually 3-8 pages… I don't see/do lot of those today, but years earlier it was cheaper than booklets and we did a lot of them. And it's easier to add or delete a page if the spread allow it, than doing a "dépliant" on larger pages with guides. This function is not only useful for flyers but also for book covers. I often have books produced with hardcover and/or softcover for the same book. This changes the strength of the back. If I design three pages and arrange them according to my printing form, I do not have to adjust the whole layout but only the page with the spine. I am absolutely in favour of this function. Contemporary design software is inconceivable without it. Mac_heibu, are you a graphic designer or a publisher? No good releasing software just because some can’t wait. Commercially best to wait and get things right than to release something early and get things wrong damaging the credibility of the product. Thank goodness I’m not alone here in my thinking. I have Adobe cs6 and don’t have a subscription model so I will continue on as before until Publisher grows up a bit. Well, of course keep using ID then. Look, Aldus was programming what would become InDesign for a few years, already having seen the writing on the wall that they could not make PM continuing to grow. Adobe bought Aldus mainly for this new layout software. Adobe, with all its resources, took nearly 5 years to release what we know of as ID1. And it stunk. No one would use it professionally, certainly not many job shops. Then after more time, ID2 came out. Some shops began using it, but it wasn't really a good application. It wasn't for 4 years or so when the CS versions started that people really began moving to ID. So how many years of work by a larger team before ID was even usable for even simple work? 9 years of programming, give or take. What Serif has accomplished with APub and the rest is pretty dang good I think. Is it going to tick everyone's boxes when released? Of course not. Will it get there for me? For you? Only time will tell. But the key to success isn't to hold back and wait until such time as APub (or AD or APhoto) are so mature as to meet or beat Adobe applications. If nothing else, while their progress is way slower, it would still be a moving target. 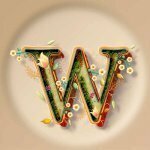 @Raymondo: I am a type setter and graphic designer and earn my money with that job since „Lino Setting“ (, which you might not know, if you are a younger guy) with creating high end print products (magazines, packages, book, …). My first desktop publisher was version 2 of QuarkXPress and beta of Calamus. 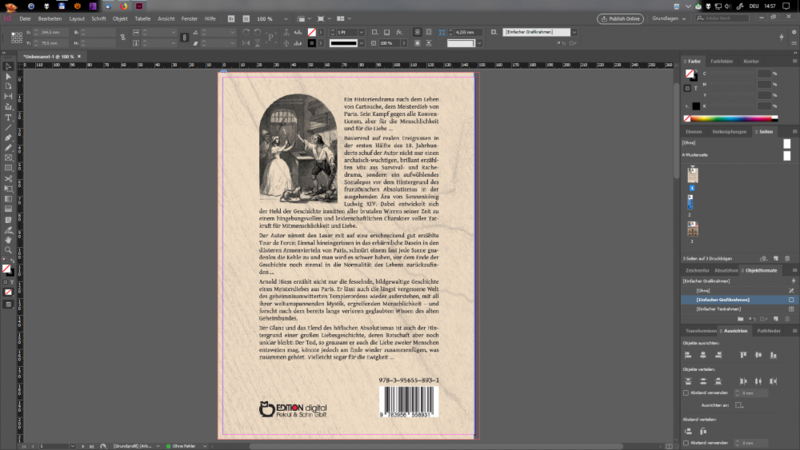 I continued with InDesign version 1, and am now on actual Adobe CC applications, which I really like (excuse me!)!. Nevertheless I am a big fan of new applications with new, fresh ideas and new ways of workflow — and I dislike the attitude, that each problem requires a button in the application. Less buttons, more creativity, and, above all, more patience! Not sure of anyone else's requirements, but I just moved the pages to the right side. Wow! Typesetter, haven’t heard that word for a while. I started in good old paste up moved to digital design in 94. I too started with quark and moved to InDesign in the 2nd version because version 1 had banding problems with gradients which printers were reporting. Maybe there’s not much difference in our ages after all. Patience, yes I have plenty but Publisher in my opinion has been rushed and I suspect they are spreading themselves too thinly trying to put out too many products too soon with too few staff glossing over many important omissions in a casual way on release. I will say its not a button that’s required here, it’s an established creative functionality so please don’t trivialise the issue as a button. I’m not bothered how long whistle and bells take to implement but I would like acknowledgment from Serif that they recognise this issue as valid and needing some attention. Ashes response didn’t fill me with confidence. Still I’ve more than made my point and I’m leaving it at that. O.K. I studied graphic design at university, then successfully completed an apprenticeship as a typesetter, book and offset printer. The crowning glory was then the Industriemeister Druck. For about 10 years I ran my own print shop. Since I officially retired, I have been working from the home office for various publishers, companies and occasional customers. My entry into DTP was the Pagemaker, then a jourey over Calamus, Pagestream, Corel, Quark and finaly ID. The Opensource thing I followed and try to work with it, but I give up. Today I use everything that delivers a fast and professional result. AFPublisher has good approaches, but did not call in the professional designer to help develop the software. Serif should have taken a look around the competition and also take its own experiences from PPlus with in. And a format that should work in all three applications will certainly not make it any easier for the publisher. Ernie-f, you’re last paragraph sums it all up and echoes what I have said in the beginning of this topic. You can’t start out in a mature market as an infant. You have to be fairly grown up right from word go. The marketplace for digital software development now is quite different from 20 years ago when the pace of development was slower.